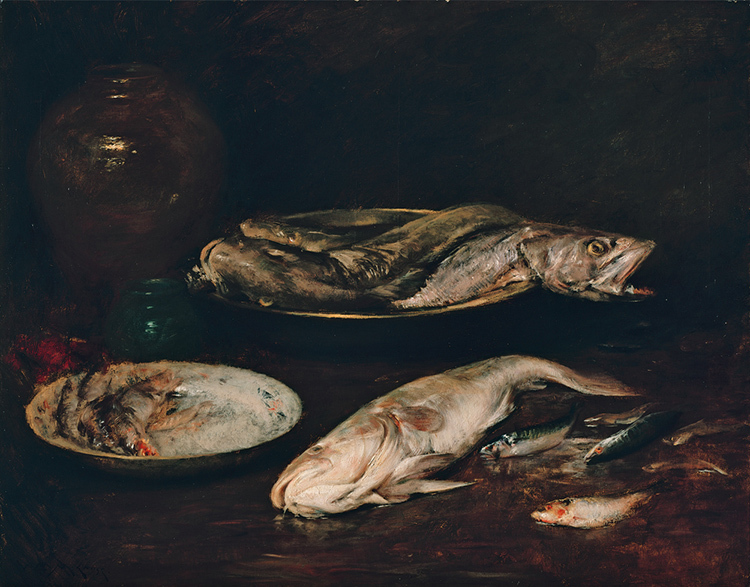 As part of D.C. Eats: Summer of Food, we’ve invited foodies and chefs from around the city to guest blog about their favorite food-focused work of art in The Phillips Collection. John Critchley is executive chef at Urbana Restaurant and Wine Bar. Read more posts in the Summer Menu series here. Gifford Beal, The Fish Bucket, 1924. Oil on canvas; 24 1/8 x 24 1/8 in. The Phillips Collection, Washington, D.C. Acquired 1925. 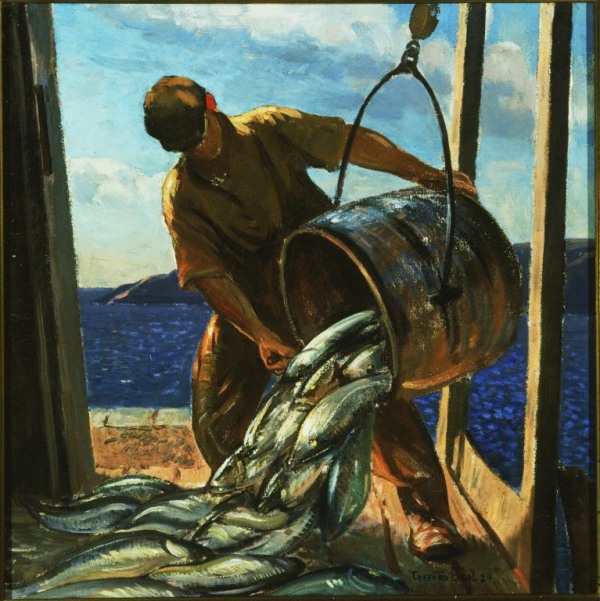 I chose Gifford Beal’s The Fish Bucket because it reminds me of two important places in my life. My hometown of Scituate, Massachusetts on Cape Cod bay. The painting also reminds me of a ten month stint I spent from October 2007 to May 2008 harvesting and growing oysters on the coast of Massachusetts with some of the most passionate growers I have ever met — the owners at the Island Creek Oysters Company. I loved the long, cold days and learning all there is about harvesting and growing oysters. We built a floating house on a dock so that the oysters wouldn’t freeze. It was a very memorable experience. Every turn in my life has been connected to the sea in some way, from my days as a dishwasher at the Red Lion Inn in Scituate, to my days as a sous chef at Uni Sashimi Bar in Boston to my days as the executive chef at Area 31, named after Miami’s ecologically sound fishing region encompassing the Western Atlantic Ocean. Now, as the executive chef at Urbana, I enjoy using all that the Chesapeake and Eastern Atlantic has to offer to create a sustainable, fresh, and locally-sourced menu. Some of my favorites include golden tilefish, black bass, Maryland blue crabs, and Rhode Island calamari.